Top 10 Search Engines 2017: People are relying on Internet for everything. Some might use it for finding the routes, some for knowing the unknown meanings, some for E-books what not every problem or query has a solution on Internet. To find these things on internet we have to search them as queries in a search engine. How many of you know search engines rather than Google and Bing? Some would question “Are they any besides those?” Our answer is ‘yes!’ and we are listing you some of the best browsers used around the world in this article. We sorted out the list by giving them Ranks basing on their Global Alexa Ranks, Traffic and user reviews. Google search is a web search engine and is the most popular product of the Google Inc. It is the most used and the best search engine across the globe. It is often termed as the search engine giant who is not an exaggeration. The search engine handles more than 3 billion searches per day which is the highest when compared to others. They use Page rank algorithm to sort out the websites in their search results. It was launched eighteen years back on September 15, 1997, by Google. More than 65% of the search engine market was acquired by Google search which shows its clear dominance. Google is updated continuously with new smart results and advanced features like voice search & image search. The integration of new tools, extensions & other Google products is also a reason for the search engine to be most used. 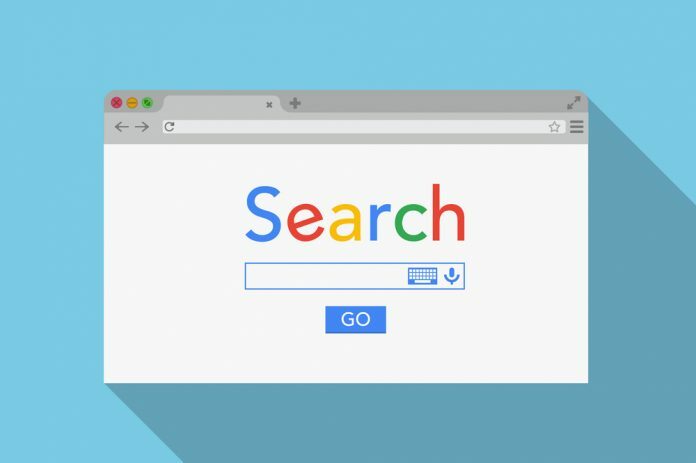 The Search Engine King’s unique features like suggestions of misspelt checks, maps and street views made it Number one in Global Alexa Rankings and our list of top search engines too. The number one ranked internet search engine of China. It was launched on January 1st, 2000 by Robin Li and Eric Xu. It is said to be the Google of China and was headquartered at the Baidu Campus in Beijing. Baidu’s secret of success is its highly scalable business model where there is an option for buying the target ads on the system. The Chinese search engine provided over millions of web pages as well as multimedia files and Images. It was the first search engine in the country to introduce Wireless Application Protocol (WAP) and personal digital assistant (PDA)-based mobile search. The search engine surpassed the Google search to become the most used search engine in china. 80% of Android Phones in China has Baidu as default search engine which is a definite evidence of its dominance. The Alexa Internet Rank of Baidu is 4 and it takes the second position in the list of top search engines. Yahoo Search is one of the oldest web search engines. It was launched on March 2nd in the year 1995 by Jerry Yang and David Filo. The search engine company was headquartered in Sunny Vale, California and the present CEO is Maynard Webb. It gives users relevant information with regards to any topic. One of the unique features of Yahoo is its interface where it allows users to have a glance at news, book flights, check emails, and more. The firm’s Yahoo mail is the oldest of email providers and still used by many which are being upgraded with latest technological updations. The oldest internet company distinguishes from other search engines by on-the-page content and giving importance to the search words. The Search Engine Firm also has a good number of human editors for removing “spam content” from their search results. Worldwide Alexa Web Rank of Yahoo is six and it stood at the third position in the list of top search engines. Bing is an Internet-based search engine owned and operated by Microsoft Corporation. It’s a replacement for Microsoft’s former search engines namely MSN Search, Windows Live Search and later Live Search. The search engine was launched by the CEO of Microsoft Steve Ballmer on May 28, 2009, San Diego, California. It deals with a variety of search services that includes the web, video, image and maps. The programming language used in the search engines is ASP.NET and it follows Microsoft’s “Metro” design language. Bing was very successful in giving accurate results for travel and healthcare services. When compared with Google search, Bing is less powerful but it is emerging as one of the tough rivals of Google. One of the main features of Bing is that it generates relevant image searches with the option of endless scrolling. Displaying the table of contents in the upper left column and availing easy search history makes it a good search engine. The worldwide Alexa ranking of Bing is 40 and it is listed at the fourth position in our list of top search engines. Ask.com is a web search engine which was formerly known as Ask Jeeves. It was founded by Garrett Gruener and David Warthen in June 1996 at Berkeley, California. It was initially started as a genuine Question & Answer site where questions were replied to in the form of polls or answered by the other users. The developments in the Ask.com had turned it into a General search engine by not confining it to a Q/A site. It functions similar to the other search engines but lacks some searching capabilities. The search engine is not a competitor for top search engines like Google and Bing but still a good option for users who want to use it. It takes the 5th position in our list of top search engines with its Global Alexa rank of 100. American Online known as AOL is one of the web search engines. It was originally launched as control Video Corporation in 1983 but later rebranded to AOL in the year 2009. Some of the best features of AOL include SmartBox, which gives search suggestions as you type and Snapshot an area where aggregation of news, images, and related links are displayed. AOL Search has a slick and friendly user interface which attracts the beginners. But not a good alternative for other search engines like Yahoo and Google. The search engine company offers a wide range of products which includes communication tools, mobile services and subscription packages. These are some of the reasons for the traffic to the AOL network. The New York based company ranked 300 in the Alexa global rankings and it is next to Ask.com at sixth position. The search engine differs from rest by not taking any data of the users and It deliberately shows same results for a given search term to all users. It focuses on getting the information from the best sources instead of most sources. It has partnerships with search engines like Yahoo and Bing. People who have concerns about the data collected by the search engines can just shift to DuckDuckgo. Yandex search engine was developed in the year 1997 by Arkady Volozh, Arkady Borkovsky and Ilya Segalovich. It is headquartered at Lev Tolstoy St. 16, Moscow, 119021, Russia. The search engine company also provides various numbers of products and services which includes its own browser. The search engine takes about 60% share of the Russian search engine market. Yandex is a good and powerful search engine which doesn’t match with Google or Yahoo in any area. It comes handy for a specialist searcher, and it can be a good search engine to try for advanced researchers. The search engine is also populated in countries like Ukraine, Belarus. The world wide Alexa Rank of 2000 makes it to take the number eight position in the list of top search engines. WebCrawler is a Meta search engine which gives the results by blending the top search results of the leading search engines namely Yahoo and Google. It was created by Brian Pinkerton on April 20, 1994. It was the first web search engine to provide results for full text search. The search engine provides users with the option of searching for images, videos and news. In the early stages it goes on to take results from Bing and Ask.com. The Alexa worldwide rank of the Webcrawler is 3000 and it takes the ninth spot among the list of search engines. The web service differs from other search engines by providing direct answers to the factual questions asked by the users. It performs external computing and displays the output on the results page. The developers called it as the Computational Knowledge Engine which it is capable of doing all sorts of calculations and can provide users with the facts and data for numerous topics. It is based on the Mathematica, which is a toolkit that causes to take place. Computer algebra, numerical computation, symbolic and visualisation, and statistics capabilities. It is one of the best search engines for users who works on computational and statistical matters and stands at the tenth position in the list of best search engines with an Alexa Rank of 1500. Dogpile is a search engine which is similar to the Webcrawler. It was created by Aaron Flin in the year 1995. Later the web search engine was owned by Blucora Inc. It gives results by mixing up the results fetched from various search engines like Google, Yahoo and Yandex. The multimedia search results provided by Dogpile were taken from the audio and video content providers. The search engine added a link enabling the users to search query that corresponding to the theme of the site. It was listed at eleventh spot among the best search engines and it worldwide Alexa Rank is 5000. NOTE: This list of Top 10 Search Engines is by no means Stable, It may vary for sure many in the near future. Our Strong prediction is that Google and Bing will hold their positions for the years to come. Hope you like this Article Top 10 Search Engines in the World. Follow our website Techfactslive.com on Facebook & Twitter for more Interesting articles, Top Lists, Technology News and other information. Please Keep Sharing this article by clicking the social sharing buttons.